Watch the demonstration video below to learn more about the immersive features created to provide an exciting building experience for children encouraging them to use their whole body for balancing, walking, rolling, climbing, rocking, jumping or riding fun. 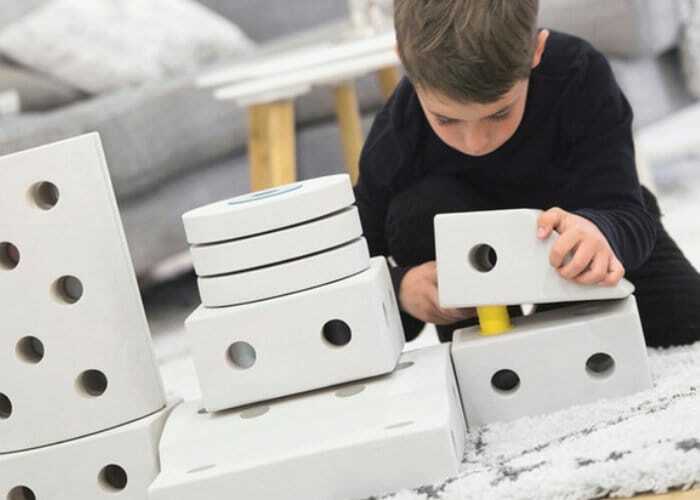 MODU is supplied in kits of blocks, pins and wheels providing everything needed to start creating designs. Everything has been designed to interlock using the company’s patented construction system. Earlybird pledges are now available from the official Kickstarter crowdfunding campaign page from £34 or $43 with worldwide shipping expected to take place during February 2019. For a full list of all available kits and pledge options jump over to the official MODU Kickstarter crowdfunding campaign page by following the link below.